Welcome to the Basic Grey Clippings and Paper Cottage Blog Hop! 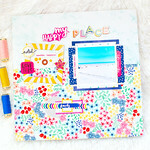 Marinette Lesne - http://www.scraptherapie.com/ →YOU ARE HERE!! Have you seen the reveal of the two new BG lines??? Ma collection préférée est "Clippings"
J'adore les couleurs, le graphisme et les embellissements sont vraiment trop beaux! Secrets, drama, intrigue—BasicGrey’s Clippings line reads like a mystery novel you can’t put down. Filled to the brim with ransom notes, typewriter keys, wool herringbone suit, a blue floral dress pattern, and deep red lipstick, you’ll want to read every note and memorize every detail. And what's a Blog Hop without a giveaway??? Now it’s time to hop over Megan Klauer's blog. Remember, if you find a link that doesn’t work, you can always hop back to the BasicGrey blog for a list of direct links to all the blogs in the hop. thanks for hosting the BG blog hop! i love the clippings collection too! Clippings is wonderful, thanks for the giveaway! Ooh, I really like this line too! Thanks for the chance to win! I love the Clippings collection too, so thanks for the chance to win! wow, I fell in love with it as well, awesome collection! it's so perfect for your style! WAOUH !!!!! cette collection est magnifique !!!!!! Adorable collections both of them! Thank you for this blog hop.
. Allez hop je tente ma chance qui sais.. Thanks for a chance! these collections are beautiful. Thanks for the chance to win! The collections are just awesome! Les 2 collections me font de l'oeil mais j'ai aussi un joli coup de coeur pour Cliipings ! Merci pour la chance ! ouiiiiiiii j'adore je veux bien gagner! Merci Marinette pour la chance de gagner! Elle a l'air super jolie cette collection ! Merci Marinette pour cette opportunité. Les collections sont très chouettes. This collection is awesome! Thanks for the chance to win. Great line of products....thanks for the chance to win some! OMG!!! I want them so badly!I need them now! I really looooove these collections! and I adore Basic Grey! I like that the Clippings Collection is a bit more masculine than the other. I can think of alot of ways to use those stickers. I'm so glad you are showing Clippings. It is my fave!! i absolutely LOVE the patterns in this pp, my boys would love!!! This is an amazing collection!! TFS! Great line, and those element stickers are really fun! Thanks for the chance to win! The clippings collection is my favorite also. All the embellishments are so cute. Thanks for a chance to win. I LOVE this new line! Thanks for the chance to win! Clippings is a great new collection. I would love a chance to win. So excited for this line, I adore those element stickers! Merci beaocup for the chance to win! :) I love both collections! Love both collections. Thanks for the great giveaway. Loving these new collections so much but Clippings slightly more! I love this new Basic Grey collection - Clippings! I absolutely LOVE both of the new collections! I need them! This is such an awesome collection! Thanks for the chance. I'd love to win & work with this collection! I love everything about this collection. Thanks for the chance to win. I love all of those wonderful papers, thank you for the chance to win! Thanks for the chance to win! I love all of these new BG collections! Love those element stickers!!!! These new lines are amazing!!! Thank you for a chance to win. I love Clipping. so much fun... and I learned some French along the way. Thanks for the chance. I love Clippings, too! The colors and graphics are great and I adore the elements stickers with all the arrows and hands...Thanks for the chance to win! Merci beaucoup!!! Really lovely collection! I like Clippings better than the other one - it's more my style :) Thanks for the chance to win! this collection is to die for! Love the new collections by Basic Gray - especially Clippings. 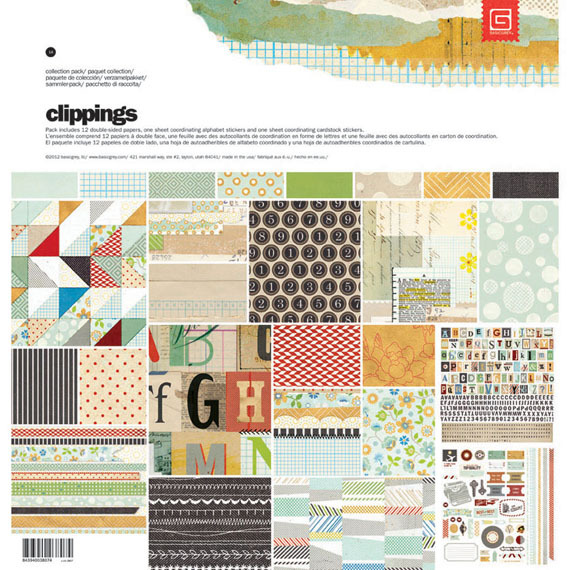 Clippings is beautiful....love this collection!!! Thanks for the chance to win!! Love Basic Grey, Thanks for a wonderful hop and giveaway. Love this line! The stickers are fabulous! Those element stickers really are amazing! Typewriters are the thing now! I'm going back and forth as to which collection I like best! Both are fabulous! Love it!!! Thanks for the chance to win! Love this new line, it would be wonderful to win! I like the element stickers too. Great icons etc. Thanks for a chance to win. I love the clipping collection the best! The element stickers are awesome! Thanks for the chance to win! Fun, fun... love the Clipping line up. I love the new Clippings line too! Thanks for the chance to win! Clippings est mon favori aussi... Merci! I really love your work.I am a fun. I am a fun of BG as well.Thank you M.
Love these collections!! Thanks for the fantastic giveaway!! Qui ne tente rien, n'a rien... donc, je tente! At first I couldn't find the comments, but then I realized I could actually read 'ont laisse un mot' - left a word! Yay for high school French! Thanks for the chance! Wow ! Ton blog est une découverte pour moi. Merci de partager avec nous cette magnifique collection ! I absolutely adore CLIPPINGS as well! I would love to win some of BG's goodness! Thanks for the chance! 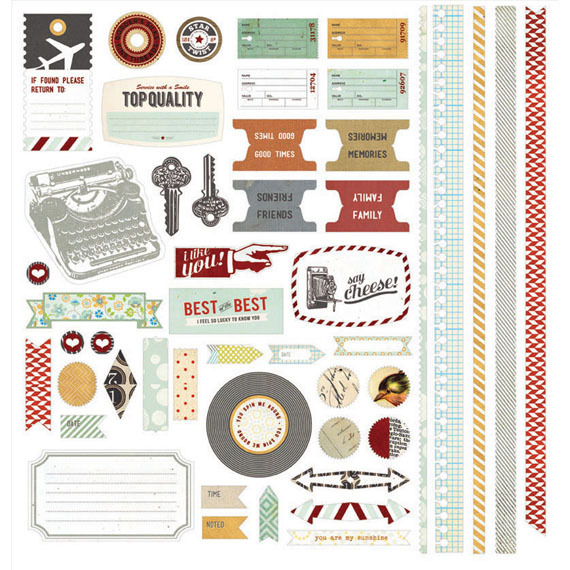 Love this new line - there are some great images & designs in that sticker sheet. Thanks for the chance to win. Have always loved BG. Thanks for a chance to win some of their summer selections. Wonderful collection! Thank you for the chance to win! Love the clippings. Waiting for a chance to win. i'm loving this new line - great colors! thanks for the chance to win! First off I have to say thank you so much for the chance to win. I love everything about both lines. Actually what is there not to love about anything Basic Grey comes out with. I love every thing Basic Grey! Thanks for a chance to win!! These new papers are gorgeous! Can't wait to use them! Love the new collections. Those element stickers are fabulous! I LOVE these new lines! Thanks for the chance to win such an awesome prize! Very fun collection - and you're right, it is perfect for a house with boys! Clippings is my new favourite line! So great! Love the new Collections line... I agree with you on the stickers. I am in love with both of these collections! Thanks for the chance to win! Thanks for the chance to win!! Love this collection!! Beautiful lines, both of them! Thanks for the chance to win! Still hopping! Thank you for being part of it. Both collections are wonderful. Love all the embellishments for them. Thanks for the chance to win. Yes! Those stickers are fantastic! Love it, I would love to play with either collection. Love both of these lines! Thanks so much for the chance to win! Love the cute little stickers in Clippings! There are so many times where I want to put a little something-something in a little tiny spot! Thank you BG! I can see why you like the clippings paper. I sometimes find it hard to find fun paper for boys. Both papers have great patterns!!! Love this new line! Thank you so much for the chance!! Cool collection--I like the key stickers. Gorgeous papers! Love the elements stickers too! Thanks for the chance! Awesome new lines from Basic Grey. Thanks for the chance to win some. This looks great, I hadn't seen the reveal. Thanks for the chance to win! Would love to win some Basic Grey!! Je suis d'accord que cette collection est adorable. thanks so much for the chance to win this fabulous collection! Fun hop! Two very nice collections. Merci Marinette for the chance to win one of the collections! First time here- nice to meet you! Great line. Love the paper! Love love this line! I would love to get my hands on it:) Thanks for the chance to win! Clippings is my favorite - love the colors and images. Thanks for the chance to win! Gorgeous new collections!! Love them both! Lovin' this new Clippings line! Gotta hop, hop, hop. Only minutes left! Thank you for the chance to win. This is all new to me and I am having fun learning and seeing everyone's amazing work. Thanks for the chance to win the great prize. I love these new collections! Superbe page!! tres beau combo!